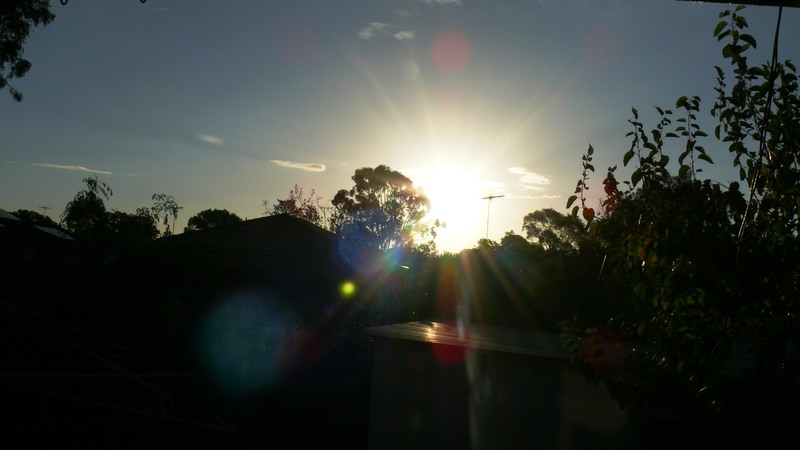 Early this week, in Shine after Rain I wrote about the three-day super storm that lashed Sydney recently. Sydney-siders had not even recovered from the previous storm that two days down the track yesterday again a freakish unusual storm battered Sydney, this time with hailstorm. I captured some of the heavy rain and hail in motion as you can see the white vertical haze. While this hailstorm was causing chaos in Sydney, minutes after that came along a huge earthquake causing devastation in Nepal. These are vagaries and forces of mother nature. One moment we sit calm and quiet, the next moment we are badly shaken. Nature makes us run around in awe and fear. In olden days, it was not possible to capture images of shaking earth during earthquakes or overflowing waters causing tsunami. But nowadays the same cameras that take our beautiful selfies, the same security cameras that we deploy to save us from impending dangers, now they show us our very own devastation in the hands of nature…as it occurs minute by minute. Nature’s victory on humans. Yes. But as usual we rise above it all by sharing our resources with those who have been hard hit. The undaunted human spirit survives. Header: self-clicked – hail on the grass. It never rains but it pours. When It pours… it pours and pours. We get our miseries (as well as happiness) in abundance…and if something bad happens then simultaneously other bad things come knocking, leaving us confused as to what to do. But here in Sydney, for the last three days we saw the physical and literal meaning of this saying being carried out. Sydney and other areas in NSW experienced ‘super storm’ of the century. Along with heavy downpour came whole bundle of problems that continued from Monday to Wednesday. The rain itself was something that had not been seen in the last 100 years. It was accompanied by gushing cyclonic winds with a speed of above 90 km/h and up to 130 km/h. Overall life within the city was influenced what with commuting and transport rendered extremely difficult if not impossible. More than 200 traffic signals in Sydney area were out of service on Wednesday morning. School closures took place, offices too closed or became relaxed about staff presence for all these three days. In such a weather, electricity is needed the most but in parts of NSW, around 200,000 homes went without power. As if that wasn’t enough, flash flooding influenced thousands of homes, with some houses going under water. On a personal front also, the same misery. Three muggy days. Even if I tried to avoid going out as much as possible but inside the house also day and night one had to bear the sound of rain lashing noisily on the roof as well as window panes. It was a pain to patiently watch the plants in the yard suffer as wild weather vicitimized them ruthlessly. 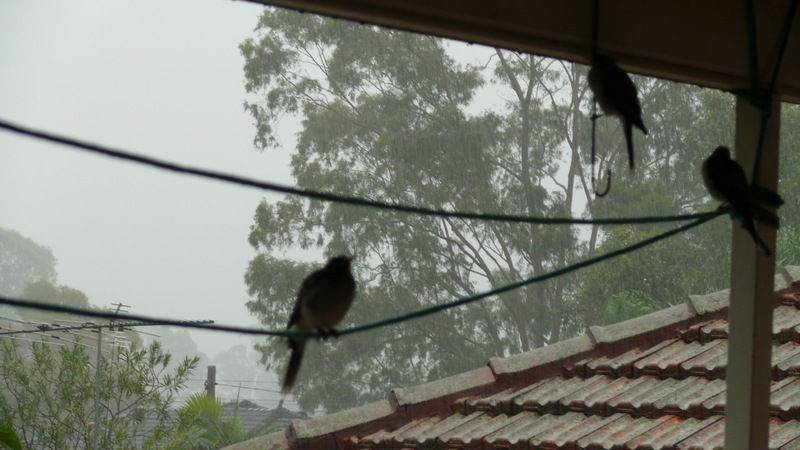 Couldn’t save some of my plants but felt good giving shelter to birds that spent hours in my back porch/verandah. These unexpected guests left my home well fed. But in the evening it was something urgent so I had to venture out in heavy rains although it was dark even before five pm, esp. as early winter sets in. I was already caught in this weather, on top of that my car remote stopped working. I fumbled while trying to open the door with the car key, something I’m not used to plus visibility was poor so I stood there fully drenched locating the key-hole. On top of that I observed one of the head-lights wasn’t working properly. Thus I messed up the car seats as I drove fully dripping and on the way back picked up my son at train station who was even more soaked from head to toe. Imagine what it means to enter your house fully wet, with soggy bags and dripping clothes. Then waddle through the puddle in front of the outer door while downpour is full stream. Foot mats become useless in this weather. Full of water, completely soggy. 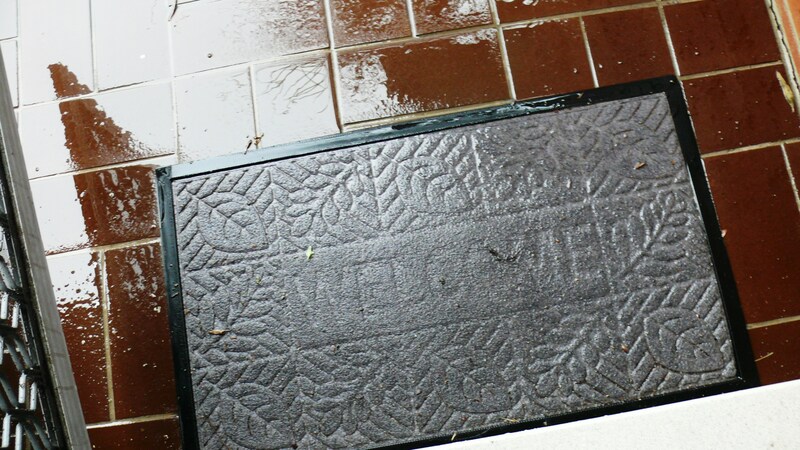 Teaches a lesson to always have extra door mats or keep old towels spare and handy to serve the purpose. Anything to avoid the house getting messy (ier). While the government will have a tough time cleaning up and calculating the costs incurred by this storm, at home front for me too another day was gone drying all these wet items and cleaning the house. My two umbrellas, the only good ones I had, sacrificed their lives serving their owners. Cruel death after complete disfigurement. After three murky days, today on Thursday morning…”it” came out. It comes out everyday. Ok. But when it goes disappearing for a few days at a stretch, only then we know what we are missing. I’m talking about the round golden thing that peeps up through some distant eastern horizon to shine and brighten our day. In summers we almost dislike it but after such heavily foggy and soggy three days…today our sun seemed like a complete blessing. See. Every storm, big or small, passes away sooner or later. Thus thinking I let the rays of bright sunlight fall on my uncovered arms and face, and relished its warmth. These are the pictures I took as I saw an airship hovering over my house, in the skies above. The airship had a business name on it: Appliances Online. I wasn’t sure my camera will capture the name but it did. The airship kept moving around and changed angles. Nothing unusual about it, right? These are not an unusual sight except that I kept calling it a ‘float’. Later in the day I was corrected by my somewhat amused son who said these are called airships. Now was it that funny? Don’t they just float around? I did more research on the term ‘airship’. And bingo…these are also called zeppelin and blimps. I’m sure my sonny doesn’t know this much. that float round and round. awe-struck people on the ground. How does it feel to have a short ride on one of these, just go around the city. One day we may have one such means of commuting/transportation. A search on Mr Google provided a page from Sydney Morning Herald that has information on the workings of this particular float, I mean blimp. See how they work plus enjoy a musical song on blimps. Unsafe Off-shores or Destined Deaths? My mood had been sombre the whole of last week, an under-current of depressive sadness prevailed. Now slowly coming back to normal. It was after the news that a 41-year-old woman by the name of Prabha Arun Kumar, an Indian National who had been working in Australia for the last three years, was stabbed to death, that too brutally with multiple gashes at the neck. This incident happened in Parramatta suburb of Sydney. Close to my home, Parramatta is my near-regular sojourn so I felt awful. Even if this tragedy had not struck somebody from my close family or friends yet it felt heavy in my heart. And going by the media news and social media interactions, indeed it was so for all others within the Indian-Australian community as well as for many others within general Australian community. A candle light vigil, a community walk was organised and in another event Sydney Symphony Orchestra paid homage to her. Prabha was originally from Bangalore, the lovely IT city where I too had an opportunity to live for a few years when I was an Indian resident long ago. She was employed by an IT company in Sydney while her husband and nine-year old daughter lived in India. She came to Sydney for one year thereafter had spent two more years as her contract extended till April 2015. This April she intended to move back to India as her whole family was there. Smart intelligent women want to work seriously and fulfil their dreams while supportive families provide their full support. Everything great about it. But last week, that fateful day, she was coming back from work. It was night time around 9 pm. Getting off the train she was walking towards her home and to do this she was crossing Parramatta Park. While walking she was also talking to her husband in India over the phone. She told him there was a big man chasing her, soon after that they heard her screams. Over the phone, her family in India heard her dying. Her nine-year old daughter, who had not seen her mom for a while will now see only her dead body. Prabha lost her life just a few days before she intended to return back to India as her contract was finishing. Prabha’s story is probably like that of many others. We read such horror stuff almost every day in the media. But when it directly influences our family, our community or neighbourhood, only then we take it personally. Not just for the sake of humanity or empathy but also simultaneously fearing the fact that even our life safety is perpetually under similar threat. Maslow’s Hierarchy Of Needs also highlights that after our basic needs are met, safety is our major concern. Thus ridden by fear after such news about killings, we do not want a repeat of what happened so we look for all sorts of answers in such meaningless murders. People like me, who are a part of the terrified community start deriving conflicting conclusions. That if this murderer guy did not touch the victim’s material possessions, can we then assume the attack was due to her ethnicity, her Indian looks? On top of that she is a woman. But the police opine that the motivation doesn’t seem to be racial, and since the attacker didn’t harm her in any other way, so obviously he wasn’t out to exploit her modesty. If the attack was neither racially motivated nor about exploiting the weaker gender then it was a random attack by a random hooligan who was in a random mood to kill anyone or everyone. Doesn’t make sense though. Specially when Sydney is supposed to be very safe. As per a new report from the Economist Intelligence Unit, Sydney is sixth amongst the world’s top ten safest nations. Melbourne ranks nineth. But it’s no secret now that Melbourne too has seen attacks and similar life-threats on students. The Down Under that our Australia is, compared to other nations it’s always been a very peaceful lucky country with such a vibrant multiculturalism. Personally, I too have never experienced any discrimination ever, rather a very high level of acceptance ever since I migrated. But statistics are conflicting. Also, so much controversy going on about India’s daughter not being safe in India but she is not safe in Australia too. Are Australia’s daughters completely safe in Australia? I used to be quite fond of going to Parramatta Park but will now be scared to do so, even when I am no more a young girl. But our primary concern is for our children’s safety. No point over-weighing all possible angles. Although there is never a murder without a motive, often the real motive of such heinous murders remain unknown. In such cases one can only derive that it was about being at a wrong place at the wrong time. A fatal combination of many factors. Firstly, she was walking through that lonely park which she normally considered safe enough. On top of that, walking at the night time which again she normally considered safe enough. Walking alone at night that too being a woman. Now that’s something. 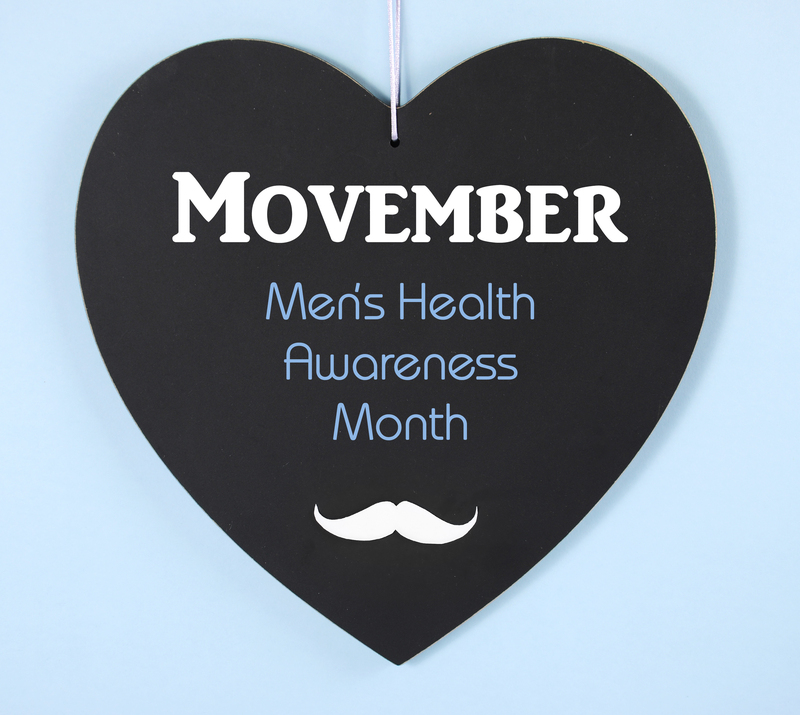 Women continue to be an easy target if not protected by father, husband, boy-friend or son. I better stop here or else I will go again to my favorite lecture on feminism. Till the cops find out, we will look for answers within nature itself. It’s as if Prabha was not meant to go back to her country again. Something called luck or destiny takes a person towards his/her death and as they say, when destiny strikes then there is no escape. I seem to be a House Divided as I present multiple perspectives on this news-story current in Australian media. I attributed the incident to our essentially evil human nature which is driven towards crime, sin, racism or gender bias. No human, including migrants and women, can ever be completely safe anywhere in the world, what with hidden hooligans all around us. Other than our unpredictable human nature, I stoically reasoned such incidents to all powerful non-human Nature, which is destiny or God that overawes each one of us from time to time. Death and birth seem to be merely a predetermined coincidence, a part of the overall scheme of nature. What will be, will be. Along with my above views I also mentioned a sad ironic fact that crime often gets provoked by the risks that the unsuspecting people take, esp. women, when they dare to venture out alone during dark hours. Am I blaming the victim? Not really. Taking precautions is what I suggest to my own family. Till the world becomes crime-free, that’s the best we can do, isn’t it? 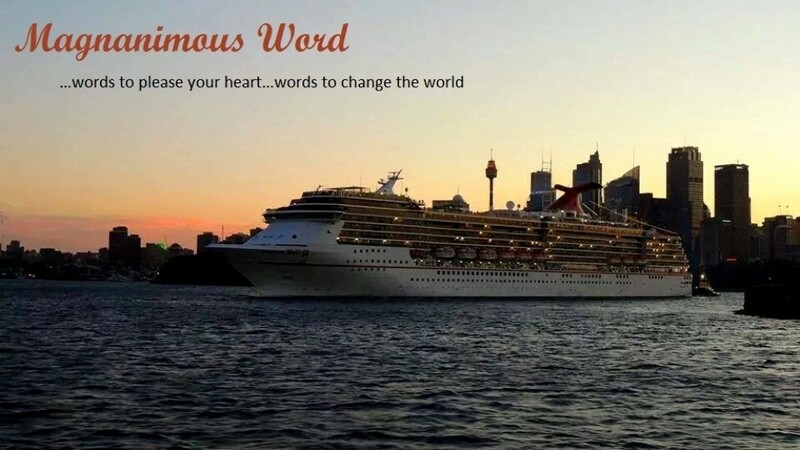 You can now ‘like’ my Facebook Page to directly receive my posts on your FB news feed .Click Magnanimous Word to connect to my FB page. Besides other things and places…schools, colleges and universities are places of enlightenment for those who have it in them. 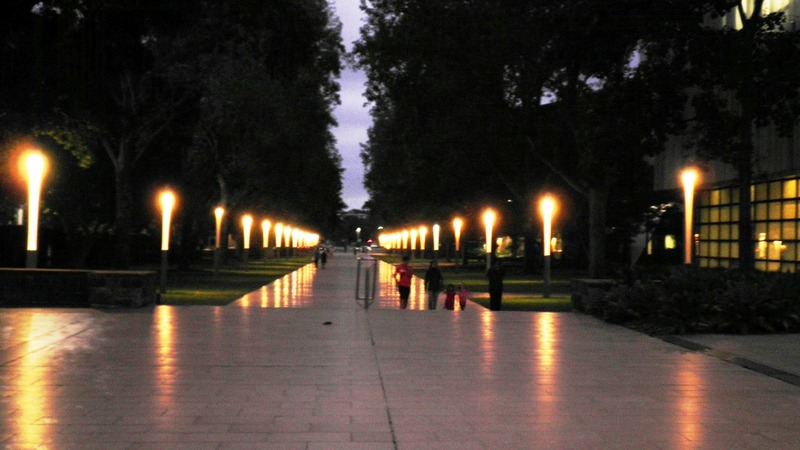 The picture was taken at University of New South Wales (Sydney). The lamps, their reflections and the shrubs on both sides – all have a perfect symmetry!! The ambiance and symmetry of these corridors of learning help in producing balanced and symmetrical minds that can change the world. 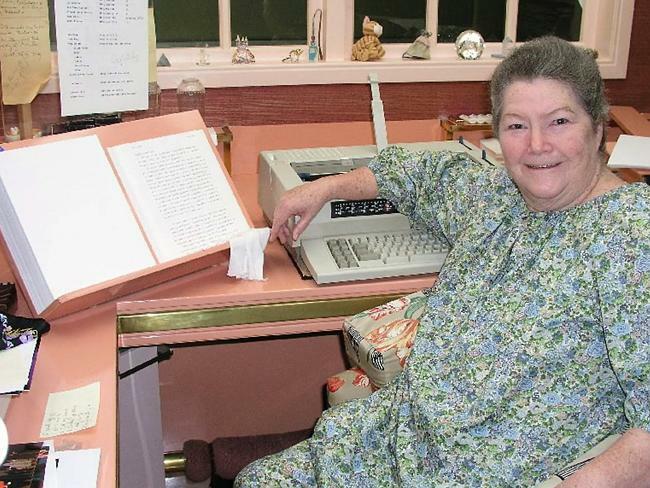 Colleen McCullough, the internationally famous Australian author (The Thorn Birds), has died in hospital on Norfolk Island at the age of 77. She was a neuroscientist by training, and worked in various Sydney and English hospitals. After that she did 10 years of research and teaching in the Department of Neurology at the Yale Medical School in the US. In her spare time, she wrote “The Thorn Birds,” her international best seller that sold more than 30 million copies. But later she became a full-time author, and for nearly 40 years McCullough was one of Australia’s top-selling novelists. Before becoming a best selling author McCullough also established the neurophysiology department at the Royal North Shore Hospital in Sydney. 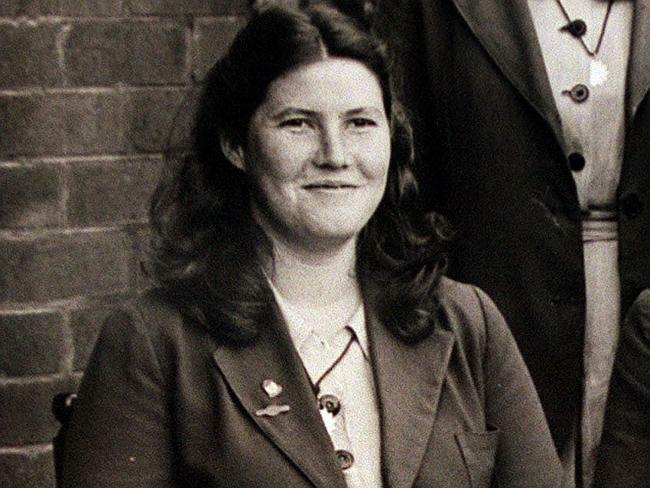 Colleen McCullough was awarded the Order of Australia for “service to the arts and to the community”. As a girl, Ms. McCullough dreamed of becoming a doctor. She entered medical school at the University of Sydney but was forced to abandon her studies after she developed a severe allergy to the soap widely used in Australian hospitals. She trained instead in neurophysiology, which is concerned with testing for and diagnosing neuromuscular diseases. Aussie Humour: At 32 she was found to have hypothyroidism, which caused depression and weight gain. But she reckoned that although she’d always looked like the back of a bus, she’d always had boyfriends because “men love a funny woman”. King sized life: Nearly everything about Ms. McCullough had unrestrained heft: her voice, her laugh, her frame, her opinions, the blizzard of cigarettes she smoked each day and, most conspicuously, her books. “The Thorn Birds” clocked in at 533 pages.